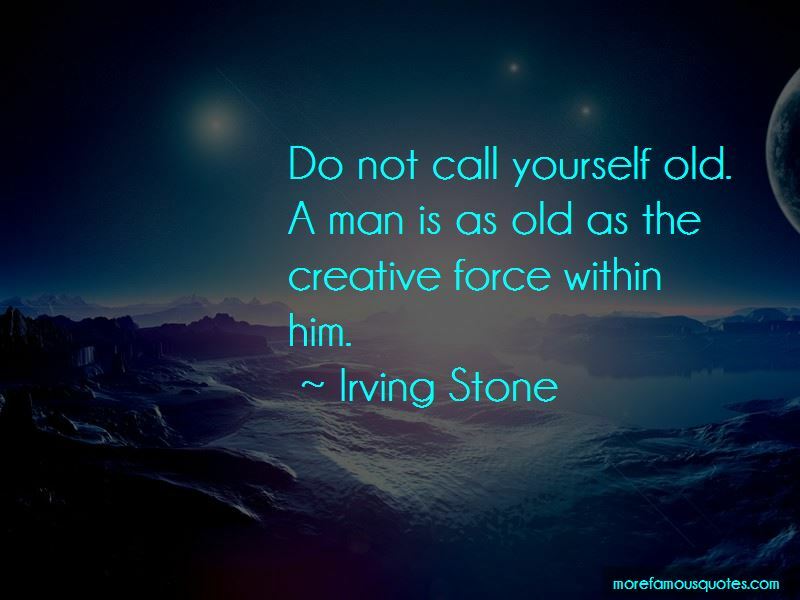 Enjoy the top 166 famous quotes, sayings and quotations by Irving Stone. 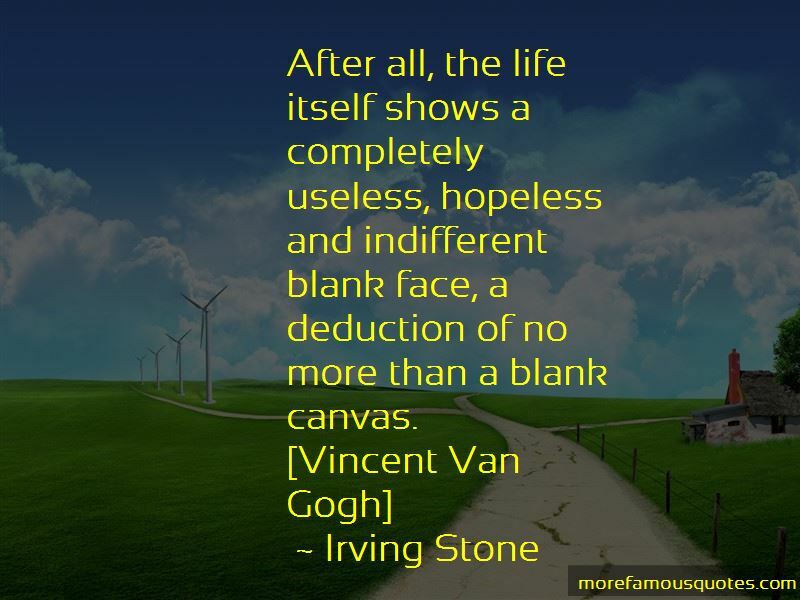 “After all, the life itself shows a completely useless, hopeless and indifferent blank face, a deduction of no more than a blank canvas. It's so easy to love. The only hard thing is to be loved. A person may paint or talk about painting but he cannot do both at the same time. Nature always resists the artist at the beginning. I can not draw sheep and cows if I do not understand their lives. No one has called any of my pictures obscene ever but I have been constantly blamed for an even greater sin - the ugliness. Indignation. Best fuel I know. Never burns out. He had come into the autumn of his life: a man had his seasons, even as had the earth. Was the harvesting of autumn less important than the seeding of spring? Each without the other was meaningless. 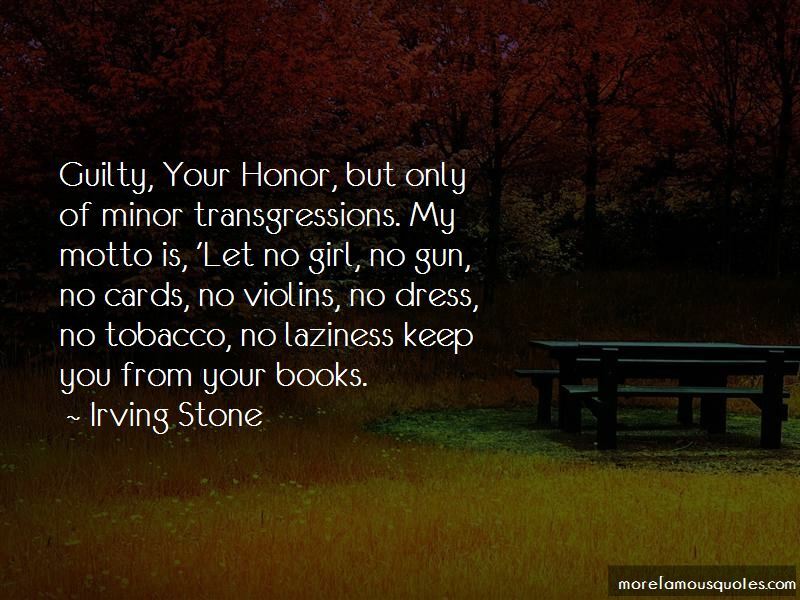 Want to see more pictures of Irving Stone quotes? 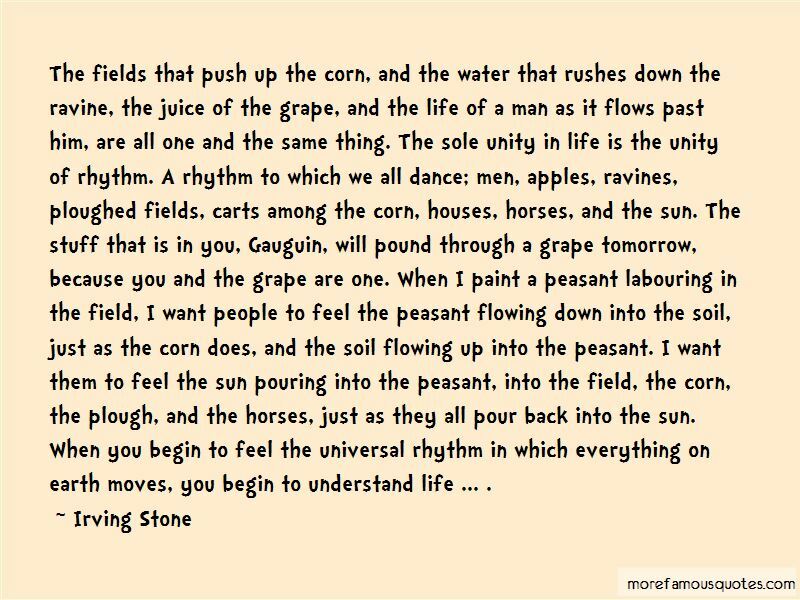 Click on image of Irving Stone quotes to view full size.